As an online business coach one of my obsessions is web design and functionality. Perhaps it’s because I’m a creative person, or maybe it’s because I teach online marketing, but to me, there’s nothing worse than a poor website if you’re trying to run a business. The other day someone sent me an email asking me for some input on their business website. When I went to their site to take a look all I could do was cringe. There was nothing about that site that would make me want to hire them for their services. Quite often, it seems, a business website is still (unfortunately) treated like a brochure. That means there’s no content, no relationship building and often times some very poor and outdated design. To make matters worse, a business website is the perfect tool to create an online sales funnel and so many people miss the opportunity because they don’t really know their market. 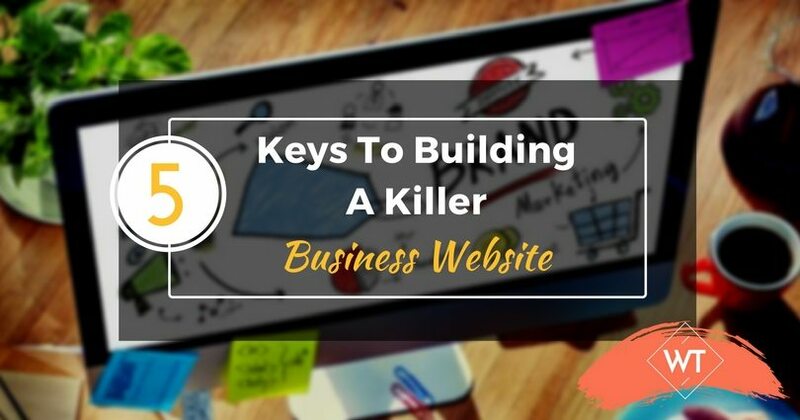 In this article we’re going to be discussing the keys to building a killer business website. The first thing someone does after they meet you is Google you, so it’s in your best interest to make sure you’ve got these bases covered. Before getting into the exact features of a business website, it’s important to note that none of it will matter if you don’t know and understand your market. You could have a brilliant “lead magnet,” but if it doesn’t resonate with your market then it’s not going to work. The key to creating killer design, functionality, features, copy and a sales funnel is to get crystal clear on the needs of your market. Once you clearly understand this you can use your business website to portray your value in catering to these needs. For instance, I recently redesigned my entire website for my business. A good chunk of the development process was just getting clear on who my audience was and what they needed. I used Google Analytics to research the age group of my audience as well as some of the search terms they were using to find me. I then took it a step further and surveyed my market to see where they stood and what they needed. First, my audience was in their 20s and 30s. Second, most of them were ending up on my websites because they wanted to learn about entrepreneurship and money. My leads have doubled since launching this—a business website done properly, is a lead-generation method not to be missed. I once had a discussion with my web designer where she was telling me about some of the frustrations she was feeling with her prospects. She realized that many people were coming to her willing to spend thousands on a business website design, but they had no idea what the point of their website was. They had difficulty telling her what they wanted site visitors to do. In other words, they had no clear sales funnel. In order to have a killer business website you need to get crystal clear on how you want visitors to behave as soon as they find you. Do you want them to sign up for an email list? What do you want them to get as a result of visiting? If you don’t have an answer to these questions you’re going to have a very difficult time building a website that converts and helps your business. Blogs are the new marketing. According to recent studies curated by Yahoo Finance, 81% of U.S. online consumers trust the information on blogs and 92% of companies who blog regularly have seen an increase in sales. Blogs are a method of giving readers free content (which is a taste of what your products or services have to offer). Over time they build trust and relationships with potential customers. Additionally, the more articles you write, then the more indexed pages you have. In layman’s terms, that means it’s a lot easier for your website to show up in Google’s search results. Remember, the first thing most people do when they have a problem is Google a solution. The advantage of maintaining a blog is that you’re more likely to pop up in the search results as the solution they need. 4. Make it mobile; make it responsive! The more sophisticated smartphones get, the more people are using them to browse and shop. Mobile commerce saw a major surge in 2014. In fact, the surge was so significant that Google decided to favor mobile friendly websites in its latest search algorithm. To give you an idea, 37% of mobile users said they preferred to browse and shop via their phone versus going to a company’s website using their computer. That means if your business website doesn’t adapt to mobile devices that you could be losing leads and ultimately revenue. You need to understand the term Responsive Design thoroughly. John Polacek has a great resource on responsive design. Metrics are not the ultimate measure of a website’s success, however they can give you some great insight as to what’s working and what’s not. For example, if you know that one of your goals is to have people sign up for your newsletter then you can measure it using something like Google Analytics. By using metrics you can see how users are behaving on your website and adjust things accordingly. Companies who do not have an online home are dead in the water. 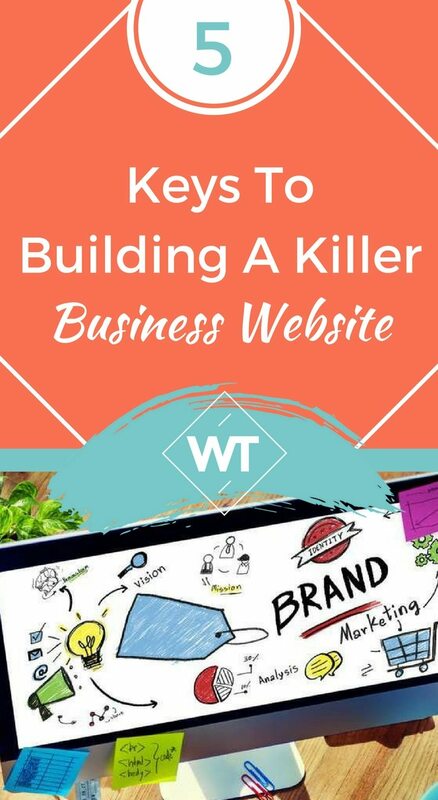 By implementing these tips you’ll ensure that your online home is catering to the needs of your market and helping you build not only your business website, but your actual business as well. Amanda Abella is an online business coach, speaker and author of the Amazon bestselling book - Make Money Your Honey. She is committed to helping individuals have a better relationship with work and money through entrepreneurship, online marketing and money mindset. Her work has been featured in Forbes, The Huffington Post, and more.